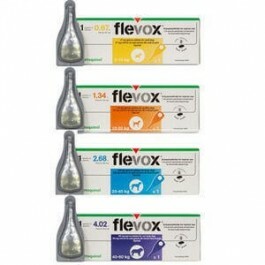 FLEVOX® SPOT-ON SOLUTION contains fipronil to treat flea and tick infestations in cats and dogs. The product can be used as part of a treatment strategy for flea allergy dermatitis (FAD) where this has previously been diagnosed by a veterinary surgeon. The active ingredient in FLEVOX® is Fipronil, an insecticide and acaricide. Fipronil works by causing uncontrolled activity of the central nervous system (CNS), and death of insects (fleas) and acarids (ticks). Insecticidal efficacy against new infestations with adult fleas (Ctenocephalides spp) persists for up to 4 weeks. Newly arriving fleas are killed within 48 hours of landing on the animal. The product has a persistent acaricidal efficacy for up to 1 week against ticks (Rhipicephalus sanguineus and Dermacentor reticulatus). If ticks of Dermacentor reticulatusare present when the product is applied, all the ticks may not be killed within the first 48 hours, but they may be killed within a week. After a local, topical application of fipronil to the cat, systemic absorption is negligible. After application, fipronil is distributed from the application zone peripherally on the fur, with the concentrations of fipronil on the fur decreasing over time. Box containing one 0.5ml pipette in an individual blister. 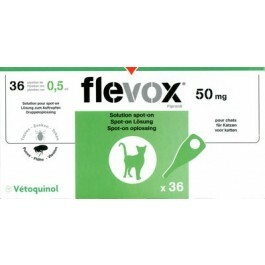 Apply 1 pipette of 0.5 ml FLEVOX® SPOT-ON topically per cat. 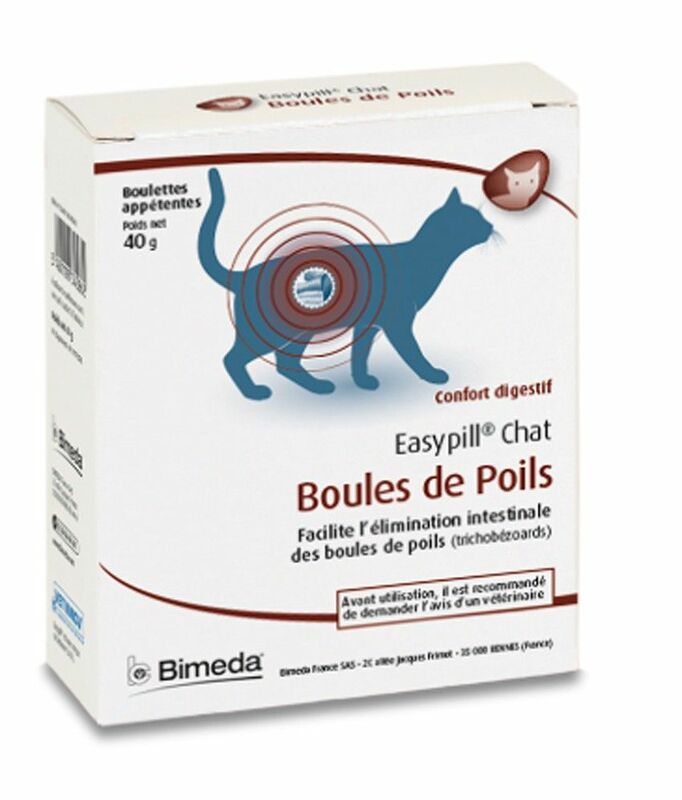 The product's insecticidal efficacy against new infestation with fleas (Ctenocephalides felis) persists for up to 4 weeks. Although the product has not demonstrated an immediate acaricidal effect, acaricidal efficacy for up to 1 week against the tickIxodes ricinus has been shown. If ticks of Ixodes ricinusare present when the product is applied, all the ticks may not be killed within the first 48 hours, but they may be killed within a week. In the absence of available data, the product should not be used on kittens less than 8 weeks old and/or weighing less than 1 kg. Neither immediate nor persistent efficacy has been demonstrated against Ixodes ricinus. The product should not enter water courses as this may be dangerous for fish or other aquatic organisms. Do not contaminate ponds, waterways or ditches with the product or empty container. Is there any further advice I should know about Flevox spot-on? PROGRAM ORAL SUSPENSION is used for the prevention and lasting control of flea infestation in cats. It is effective against the two dominant flea species in the UK. DRONCIT® SPOT ON is a tapeworm treatment for cats that is applied to the skin on the back of the neck.